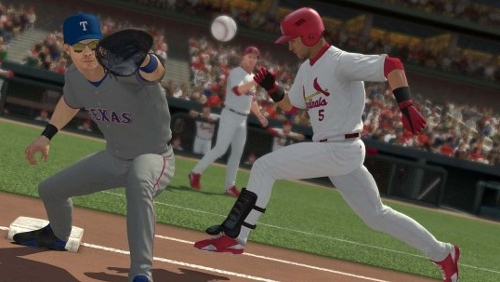 While there’s still no comment out of SCEA regarding a demo for MLB 12: The Show today 2K Sports announced that MLB 2K12 will have its release on Tuesday February 28th on the Xbox 360 and PS3. It will include a World Series rematch of the Texas Rangers @ St. Louis Cardinals. This represents the first sign of encouragement regarding the product which has been kept out of the sight of consumers for the most part with 2K limiting information and media on it. With just over a week to go there have been no gameplay videos but the demo will prove more important for evaluating whether it may be worth a purchase this year. The promotional credit being offered at Amazon, particularly on the combo with NBA 2K12, has increased the potential value essentially by artificially reducing the price – something that can’t officially be done due to the MLB license agreement.